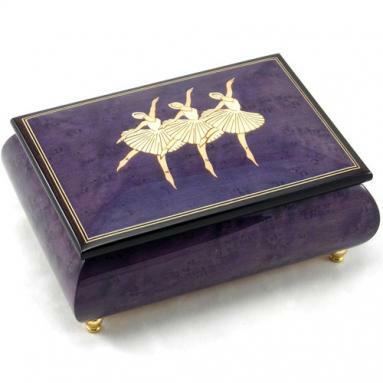 This beautiful authentic Italian music box has a magnificent glossy finish. 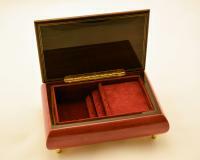 The soft red color accentuates its sophistication and elegance. 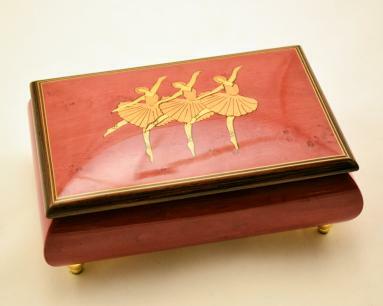 The glossy lid of the music box is inlaid with the images of three ballerinas in action. 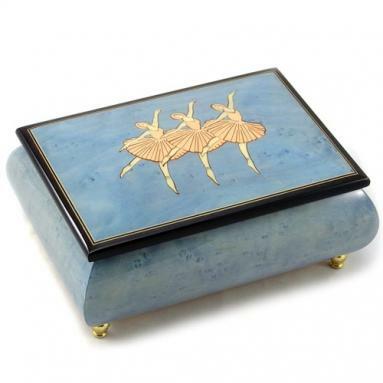 They strike a charming pose. 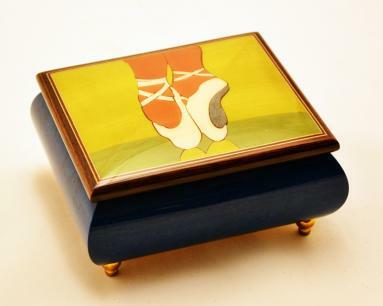 The inlay work is so skillfully done that the images are perfect in their smallest details. 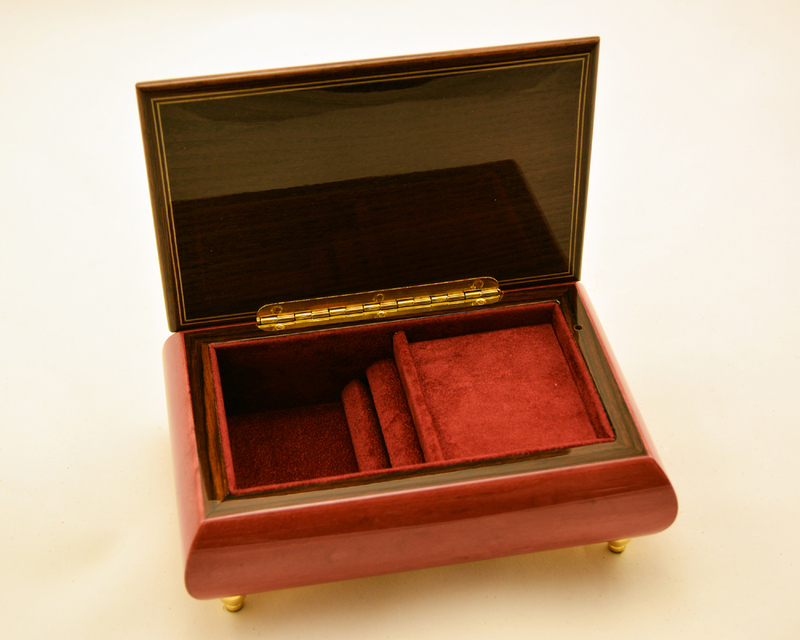 The Sorrento music box has a jewelry compartment lined with soft velvet.